Food and the construction of value - with stories from Morocco and Croatia. What is good food: A conversation about food and the construction of value, with stories from Morocco and Croatia. Katharina Graf is a postdoctoral research fellow at the SOAS Food Studies Centre, University of London. Her research interests pertain to the preparation of food, material and social change, gender, urban space, food security, risk and uncertainty, and global food markets. Regionally, she focuses on Morocco, North Africa and the Mediterranean region. Anna Colquhoun is a part-time doctoral student, currently based in Croatia for her fieldwork with rural food producers and restaurants. Having previously worked in food professionally, Anna returned to university to study the anthropology of food at the SOAS Food Studies Centre, where she continues her research. Her interests include the social construction of cuisine and place-making and value-creation through food. With thanks to SOAS Radio. 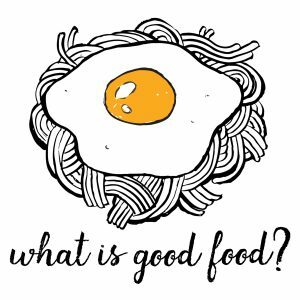 What is good food: A conversation about 'real food' in and around farmers markets in Shanghai and in food education in... Read more..
What is good food? A conversation about farming and ways of knowing in the US and Bangladesh Megan, a PhD researcher... Read more.. Governments, markets, men, women, children - who decides which food is good? What is good food? A conversation about food decisions made by governments, the market, in the household and among... Read more..